Driving back from the first round of the Mopar Canadian Superbike Championship, I have a recurring thought: what have I gotten myself into? No, there was no tears or blood or torn flesh to mar the weekend. We actually have two trophies on the back seat of my Sprinter van, next to the 15-year-old leader of the Kawasaki Ninja 300 Spec Class Series who is fast asleep. It’s not supposed to be that way. I did not have much time to make it through the never-ending list of to-dos for the participation involving me, Cycle Canada, Xavier, and a few partners in the Mopar CSBK national championship. I had to get the little Kawasaki ready in a few short weeks. If I was to count Xavier’s total track time in hours on my fingers I’d still have most of one hand free to hold the coffee that should keep me alert for the drive through the night ahead. But here we are leading the championship after that first race and I will have to do whatever is needed to provide decent support to keep Xavier progressing from now on. In three days he went from being happy to be at the track to being the one to beat! I will have to be even more involved, if that could be. My credit cards are going to suffer some more! Maybe it’s only retribution; after all I’m the one who got the Paradis family involved in racing in the first place. Last year I invited their then-14-year-old son to jump on my new, bone-stock 2015 Ninja 300 for a provincial lightweight race. I knew that they did not suspect how different their lives would be from that moment on. Someone outside of the racing world couldn’t foresee that. He did good for that race, a fourth place, but the most important aspect was that he could absorb all the information thrown at him and apply it right away. I saw a racer’s mind at work through his eyes. 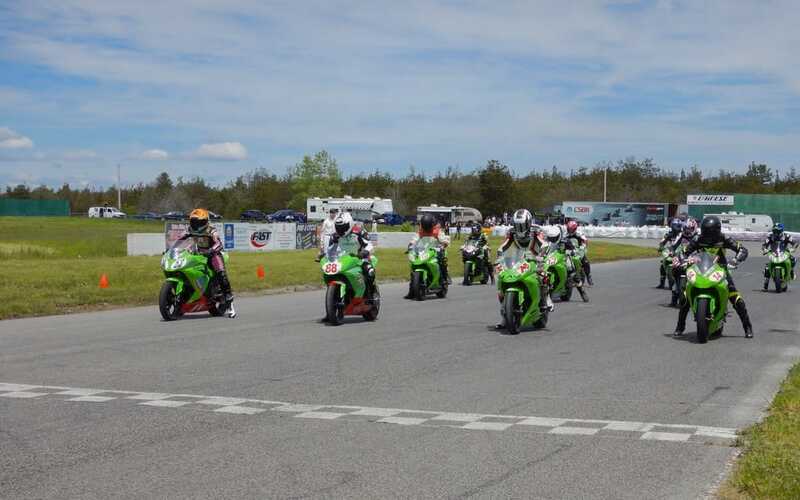 The Mopar CSBK project was a low-key effort, put together in only a few weeks before the start of the season. Now it becomes a more serious operation. We were supposed to go racing and document the adventure in these pages. 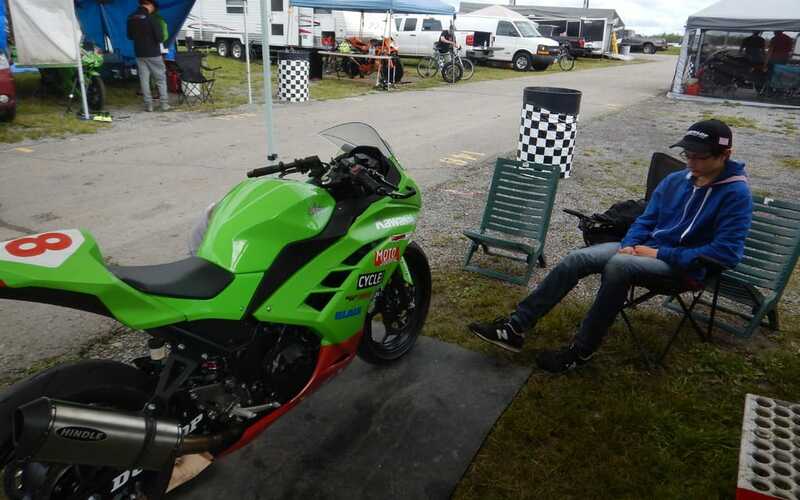 The story would be something along the lines of how to get your feet wet by racing in the most affordable Mopar CSBK class, how to work with a new rider, and how to ensure his improvement. My 15-year-old rider had a different view of this and, most definitely, the ability to back his aspirations. Xavier does not have the typical racing kid’s experience. He did not grow up around racetracks, dirt or otherwise, but he is focussed, to say the least. After only a track-school day under his belt, the day we spent together at that race last August and a two-and-a-half-hour evening session two days before heading out to Shannonville, the rookie had what he learned from reading A Twist of the Wrist and my instructions to figure out how to go fast. And figure it out he did. He started the national weekend riding on a set of Dunlop Alpha 13 tires that had seen a lot of track use. That was good enough for the level he was at for the first practice and to learn the track. By Saturday’s qualifying session, Xavier’s lap times were down enough for him to find his way into fourth place. It was already time to provide him with more traction and for me to be ashamed; I did not get the little Ninja on the official scale earlier and was shocked that it was under the 340-pound minimum weight for the class. We learned that with the 337 pounds measured at the post-session inspection, I had wasted Xavier’s effort and that he’d be starting from last place. One thing that Xavier had practised for on his trail bike is the start, and so from the back of the grid he rocketed his way through the pack. A first podium came in the first try at a national after picking his way through traffic. Since that first race we’ve seen him start from the front row at every race and he finished first for the following three races. 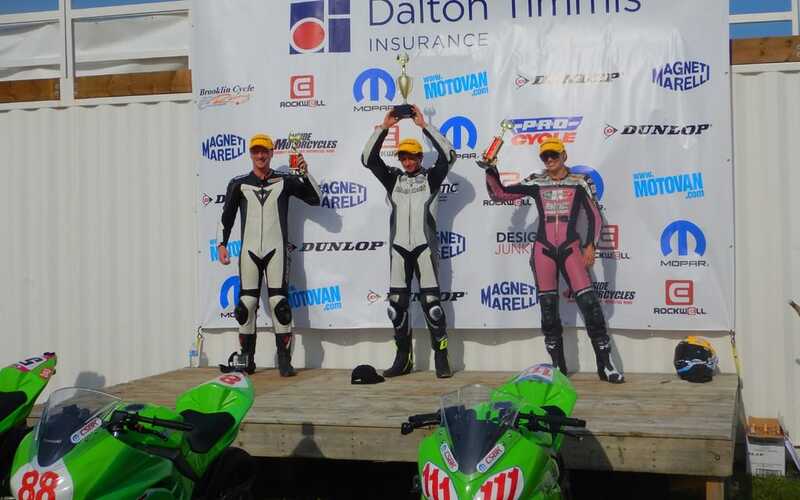 A second place, another win and two more runner-up results means that Xavier Paradis now leads the Kawasaki Ninja Spec Series championship by 41 points with only the last two races to be run at the Canadian Tire Motorsport Park in a few days. 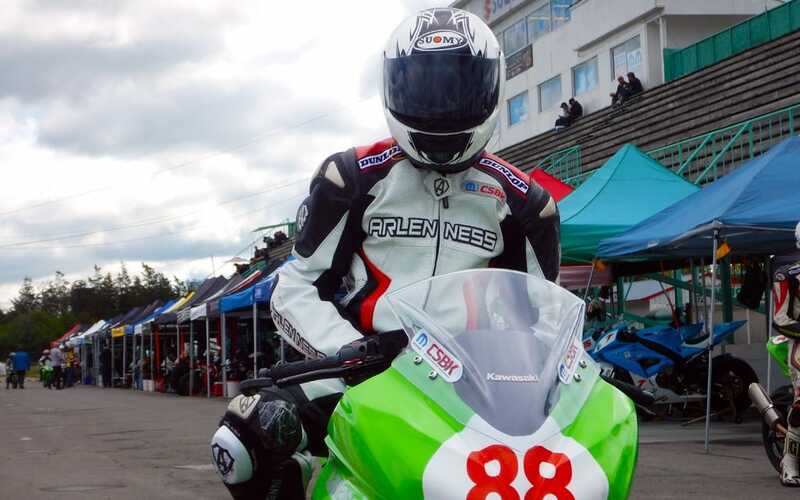 I know it is still not much experience for a racer, even if we did get to do a couple of track days on top of his races to refine the young speedster’s riding technique, but I am now trying to get him a wild card ride in the MotoAmerica RC Cup series and I had his dad Marc take a look at the Red Bull Rookies Cup sign-in forms. Yes, I won’t aim too low for Xavier from now on!